In the case of Accela v. Sarasota County, the state court and an appellate court disagree on whether the county could piggyback on a contract by the State of Wisconsin. That conclusion was drawn by a Florida court in 2008 after a challenge to a cooperative procurement by Sarasota County. 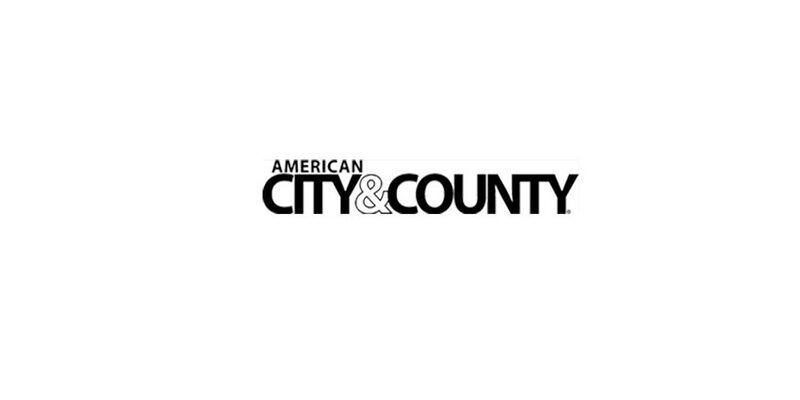 The county piggybacked on a contract by the State of Wisconsin, meaning Wisconsin’s vendor extended the pricing and terms of its Wisconsin contract to the county. However, in June this year, a New Jersey appellate court sustained the state’s use of a U.S. Communities/City of Charlotte contract with AutoZone for auto parts. What were the reasons for the different results? Was the original contract competitively sourced? In the first case [Accela, Inc. v. Sarasota County, 993 So.2d 1035 (Fla. App. 2 Dist. 2008)], the county learned of a vendor, CSDC Systems, Inc., that offered a zoning and permitting tracking system it needed to replace its outdated system. After site visits to two local governments already using the system, the county decided the best way to acquire it was to use an existing contract between the CSDC and another governmental entity, permitted under the county’s procurement code. CSDC forwarded the county copies of a contract with the State of Wisconsin having three agreements: software purchase, implementation and maintenance. Changes were made primarily in the sections of the agreements that itemized the cost of the modules specified for the services. The number of individual users was significantly different, as was the time required for installation and training. The final contract between Sarasota and CSDC had a total cost of $711,120, compared to Wisconsin’s contract costs of $176,200. The county contract purchased 40 software modules, compared to Wisconsin’s nine modules (eight of which were the same). Accela was a competing vendor that learned of the contract. It filed a complaint against the county, alleging violations of the procurement code and asking the court to declare the agreements void and direct the county to use a competitive procurement process. The trial court denied the relief requested by Accela, and Accela appealed. The appellate court reversed. The appellate court considered the specific terms of the Sarasota procurement code that permitted the county to utilize the contracts of other governments “if the vending contractor extends the terms and conditions of the contract to the County of Sarasota and the contract has been awarded through procedures substantially equivalent to the requirements of the Procurement Code.” The court found that the Wisconsin competitive process satisfied the requirements of the county’s code. Are your requirements substantially the same? Instead, the court focused its attention on the other element of the code, whether CSDC extended the terms and conditions of the Wisconsin contract to the county. The court found issues here with the county’s actions. The court rejected the county’s argument that having eight software modules in common in the Wisconsin and county contracts satisfied the county’s code. The court held that the contract must be substantially the same as the existing “piggybacked” contract. The court concluded that the county-CSDC contract significantly expanded the Wisconsin-CSDC contract. The court found the procurement code violated. Is participation the most cost effective procurement method? On June 27, 2011, a New Jersey appellate court published an opinion with similar issues but a different result. [In re Protest of Award of New Jersey State Contract A7188 For Light Duty Automotive Parts, No. A-5626-07T1, Superior Court of New Jersey, Appellate Division, June 27, 2011] The State of New Jersey Division of Purchase and Property utilized new statutory “piggyback” authority to execute a state contract for automobile parts based on a procurement conducted by the city of Charlotte, North Carolina. The court spent considerable time comparing the underlying contracts. The plaintiffs (New Jersey auto parts companies) complained that the New Jersey agreement automatically extended a 20 percent price discount, despite the fact that the statewide volume would only have triggered a 15 percent discount in the Charlotte contract. The free delivery terms also were more favorable to New Jersey. The court found, however, that the Charlotte contract permitted different pricing in participating entity contracts (although a clause automatically extended those terms to U.S. Communities’ participating public agencies on a “going forward basis”). New Jersey’s judicial precedent also permitted post-bid modifications even in sealed bidding when the public agency negotiated more favorable terms. The court applied a deferential standard of review: whether the Director’s decision was founded on “bad faith, corruption, fraud or gross abuse of discretion.” Ultimately the New Jersey court upheld the director’s decision. Some states’ statutes explicitly require compliance with their state’s procurement laws in cooperative procurements. This is an example of what the National Association of State Procurement Officials calls a “pure cooperative” in its Strength in Numbers whitepaper on cooperative procurement. Your jurisdiction’s legal requirements are probably unique. Still, there are some lessons from these cases that may be good practices. The Florida court’s conclusion that the statutes require the other jurisdiction to use a competitive process is aligned also with the public procurement objective of achieving fair and reasonable pricing through full and open competition. Make sure you are comfortable that the competitive process used by the other jurisdiction achieves this objective. The comparison of requirements is an extension of that policy. Competitive bids and proposals are based on a clear understanding of the requirement. The more the contract scope differs, the less the likelihood of achieving fair and reasonable pricing through cooperative procurement. Scope comparison is particularly important in services. Often, innovative pricing terms for commodities leverage the later addition of governments (and greater volume) using tiered pricing provisions that offer deeper discounts as volume increases. In services with greater variation in scope, however, there may be reason for more caution. Finally, the use of the term “determine” in a state statute or ordinance often has significance. Some laws require – and judges prefer – written documents that explain the application of discretion when significant procurement decisions are made. Memoranda should state the legal criteria from the statute or ordinance (e.g. most cost effective), summarize the process for fact-finding, state the facts found, and include reasoning that leads to the ultimate conclusion. These “determinations” are required legally in some jurisdictions and may help dissuade contractors and their attorneys from challenging procurement decisions.